But today, I wanted to do a Fitness Friday! While I was running yesterday, I kept thinking of tips I would share with beginners in the world of running. I wish I would have been told a lot of these…I had to learn the hard way. 1. Before you do anything! Go to a local store that will find the perfect shoe for your foot! 2. Watch pros run (use youtube, go to a race, group runs) and check out their form. When I first started running, I would sway, run on my heels, not keep my landing in line (which ended up hurting my hips), would lean backwards, would be really tensed up without realizing. 4. You want to be tough! If you are thinking of running long term, for whatever reason (weight loss, hobby, for fun, to tone up) it’s ten times better to be a mentally and physically tough runner than a softie. A softie is going to want to stop every 3 minutes, cry when its too hot, quit when there’s mud puddle, give up when you get a little tired…You can’t really achieve a goal if this is the case for 90% of your runs. Yes, we all have our bad days but you gotta face facts. Push through! The faster you make yourself tough instead of holding it off, the more your future self will thank you! Start with building that endurance. Build up to where you can run 1 mile without stopping, 2 miles, 3 miles, 4 miles, 5 miles…etc. Once you can start running multiple distances without stopping then you can start worrying about your speed. – 1 mile warmup, 4X800m repeats, 5X200m repeats, 1 mile cooldown. Don’t eat crap before a run. Or after! Anything sugary, heavy, or hard to digest is not going to be your best friend before those miles. Instead, try eating a little oatmeal, a protein pancake, a kashi waffle, a bowl of cheerios, a banana with almond butter, before you run. During your run, sip on water. After a hard run, hydrate with Coconut Water. 7. Run hills but don’t make decisions while running up them! I used to not understand how strides, hill repeats, and running hilly courses were for a runner. First, it makes you mentally tough! It makes those calves, booty, & quads so much more strong. After you start incorporating hills a couple times a week, you will notice a huge difference. Believe me! 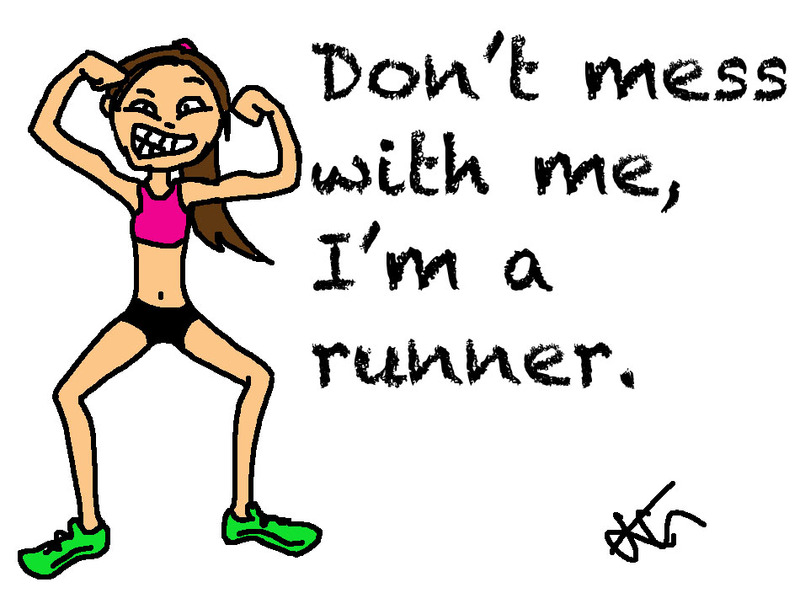 Examples: I try to have one 5-8 mile run that has lots of hills for me to run. Once a week, I will perform hill repeats (6-8) on a not too steep hill around 150 meters or so. Run it fast and hard. Obviously, you should stretch. Dynamic stretching before or after a 1 mile warmup, then static stretching for 5-10 minutes after your run. MAKE TIME FOR IT. Or you might regret it down the road. 9. Join a running club! Seriously, after I started running with people (especially those long runs) it made every thing easier for me. I realize on runs by myself that these people I run with, run by themselves as well and have to push through just like I am. So, really I’m not alone! Plus it’s a ton of fun getting to know other runners. You’ll learn so much, exchange funny stories, and have a blast getting sweaty. Who would’ve thought that?! I started running in 2007-2008 and I was horrible! I cringe just thinking about it. I suffered the worst shin splits ever too (mostly because of my shoes) and had plantar fascitis for half a year because I didn’t know I needed a stability shoe. Running looks like it can be easy…but really, if you don’t take precaution first, you’ll end up hating it. If you are a beginning runner, I hope you find these helpful! Did anyone give you tips when you first started running? What’s your number one tip to a beginning runner? Do you focus on endurance rather than speed or speed rather than endurance? Thank you! And you are welcome! Music is a tough one for me. I love running with music, and it’s hard for me to not run with music. But I’ve started listening to podcasts, which I think it totally different. So I’m okay with it 🙂 Great tips! I’m pretty sure I did everything all wrong which is why I am injured and unable to run. 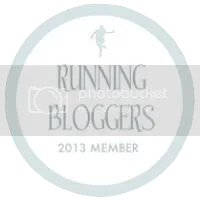 I’m taking a break from long runs but have been using the extra time to read more into proper running form and ways to avoid injury. This post is great! Great tips! I’m sorta torn about music…sometimes I really love the peaceful, almost meditative aspect of running without music. Other times, the music really motivates me to push harder and it also blocks the endless cacophony of NYC. I’d like to eventually join a running club, too! That sounds amazing, but I don’t run fast enough yet..
One thing about not listening to music, is that its so much safer. I’ve been around too many runners that have almost gotten into accidents because they can’t hear. There are always slow groups, medium groups, advanced groups, and super advanced groups for running clubs. You can’t feel left out. Its hard to. So go for it!